We’re currently in Singapore mapping the Art Museum. The setup was quite complicated, 5x Christie HD18k, with 2 stacks on the sides. 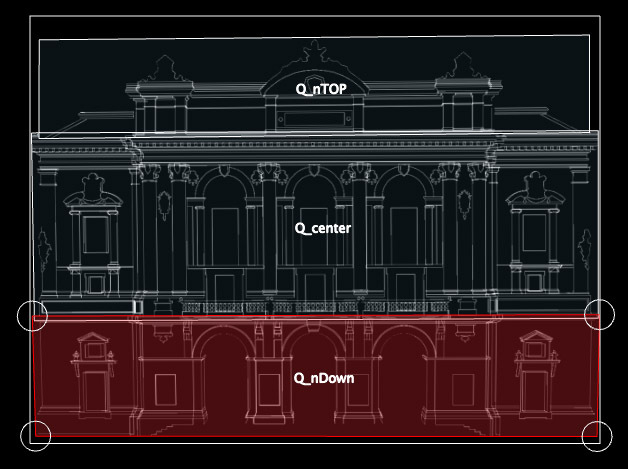 Output Resolution was a huge 3840 * 720, fed from a QC app to MadMapper thanks to Syphon. 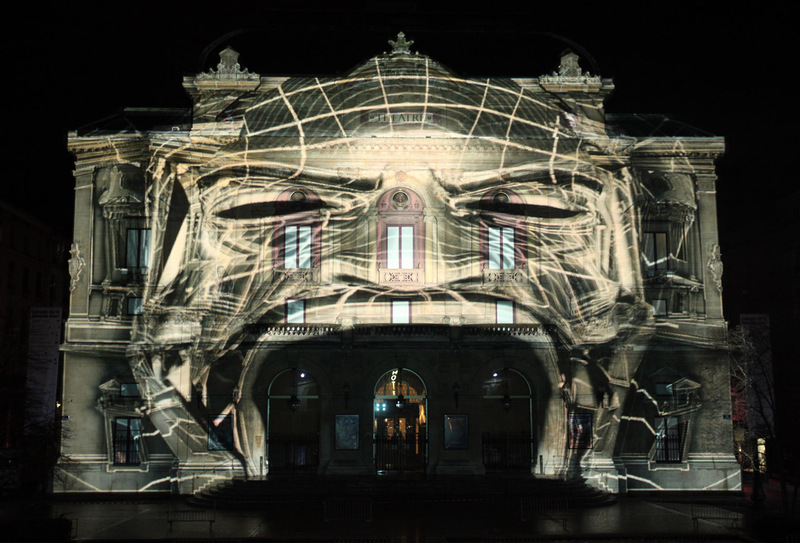 a large decomposition of all the facades, animated. Finally, MadMapper in action in Neuchatel. And a photo of my computer screen, showing QC + MadMapper + Live all running in conjunction. This time I didn’t even bother compiling a custom app, and ran the show directly from the QC viewer. Sweet, as it allows for some live patching. 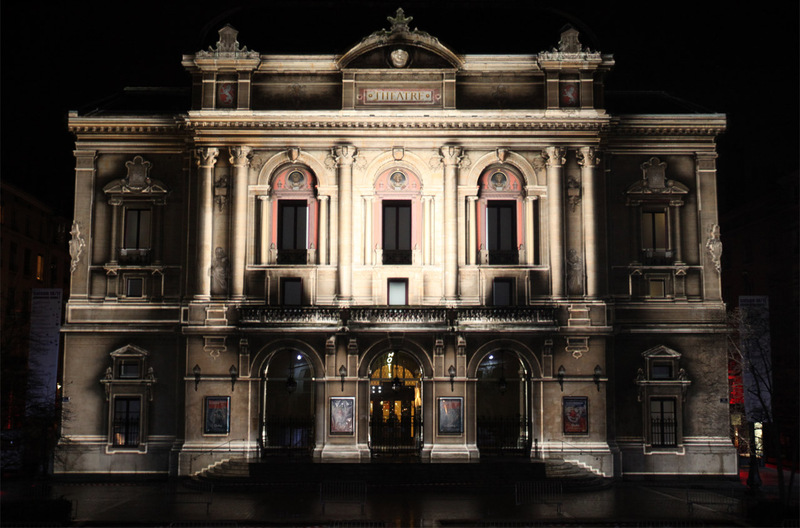 Here’s the official video report of our interactive video mapping in Lyon. Running via a custom QCapp + custom plugins, connected to Ableton Live for audio playback and realtime analysis. Projected using 4x Christies R20k beamers. After a SSD Laptop crash, finally I took some time to snapshot the Madmapper+ QC + Ableton Live + CueMix view.`More to come in the next post ;°). 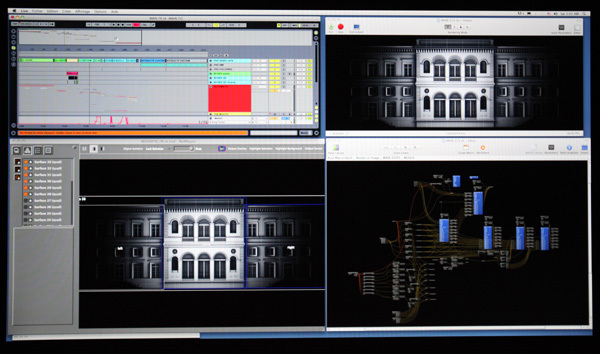 we just spent all night tinkering our projection, trying to match the actual architecture as close as possible. Thanks to MadMapper, the task was rather easy, although we found a few really annoying UI bugs. Due to some modelling inaccuracies, I had to split the projection in 3 parts, each perspective corrected. Nevertheless, we ended up being roughly satisfied (but ya know the tune… I can’t get no …). Tomorrow, I’ll try another Madmapper technique, using either grid warped (but still perspective corrected) or maybe camera pose estimation (with an openGL matrix output-to-file feature, then back in QC). 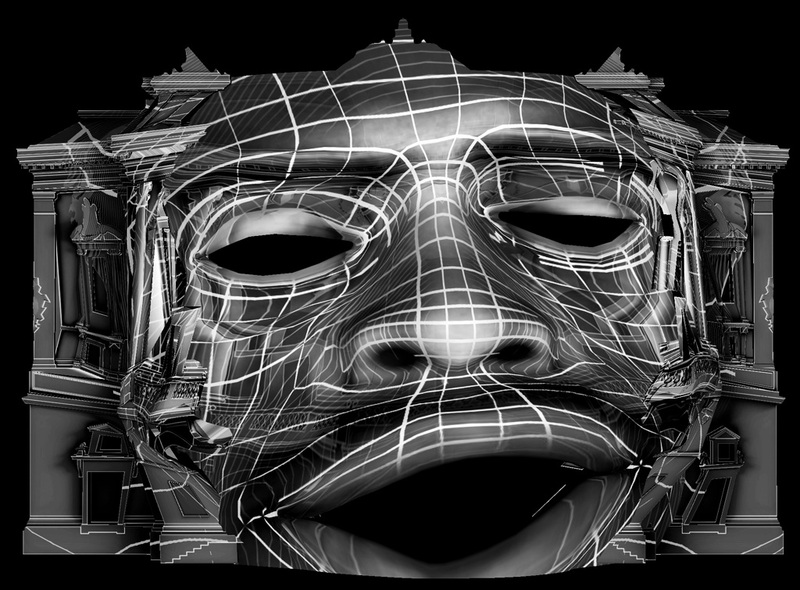 And finally the headmap applied on the 3d model, morphing-ready. 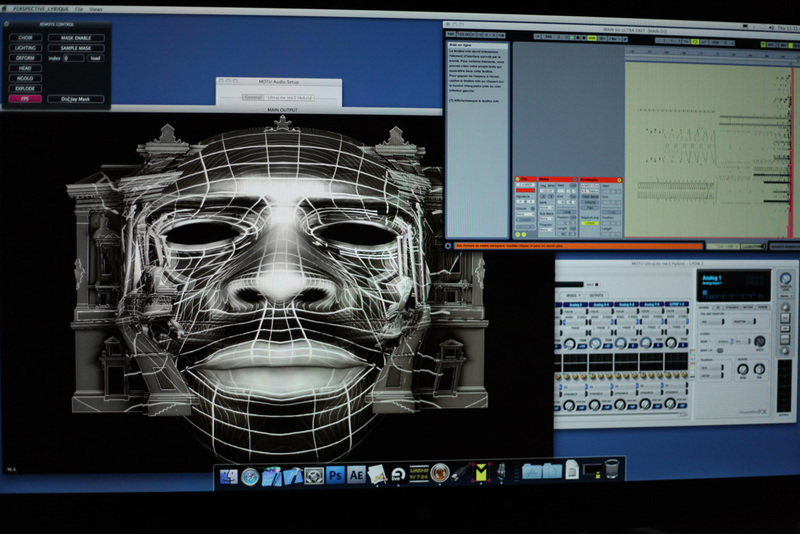 The audience will be able to sing a few phonemes in realtime, and also a few expressions, like fear, smile or anger. I’m eager to see the end result projected on the building, as there’s a chance it might look like crap. 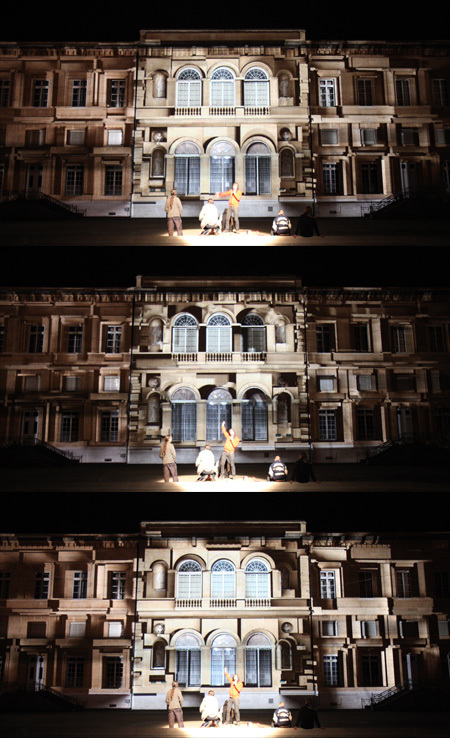 Pertinent video mapping is always difficult to achieve.